Ascott has secured a contract to manage its first Ascott-branded serviced residence in India. 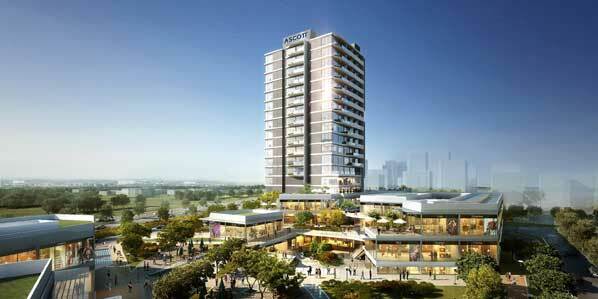 Slated to open by 2016, the 160-unit Ascott Ireo City Gurgaon is also Ascott’s first serviced residence in Gurgaon. The management contract was awarded by Ireo Private, the flagship Special Purpose Vehicle of the IREO Funds, India’s first and largest private equity fund dedicated to the Indian real estate sector. Ascott chief executive Lee Chee Koon said: “Ascott has recently expanded into Nanjing and Wuxi in China, and Riyadh and Jeddah in Saudi Arabia. Ascott Ireo City Gurgaon has added yet another city to our global footprint of over 70 cities across more than 20 countries. “We remain confident in India’s long-term economic fundamentals and continue to see potential for serviced residences in the emerging country. “With the addition of Ascott Ireo City Gurgaon, we now have nine properties with more than 1,900 apartment units in India. Strategically located in the heart of Ireo City, Ascott Ireo City Gurgaon is right next to the planned two-storey Ireo City Central retail zone and entertainment hub on Golf Course Extension Road. The serviced residence is also near a golf park and is well connected to the airport and commercial districts of Gurgaon as well as Delhi through major roads and highways. Residents can choose from a range of spacious studio, one- and two-bedroom apartments and enjoy facilities such as a swimming pool, fully-equipped gymnasium and an in-house restaurant.